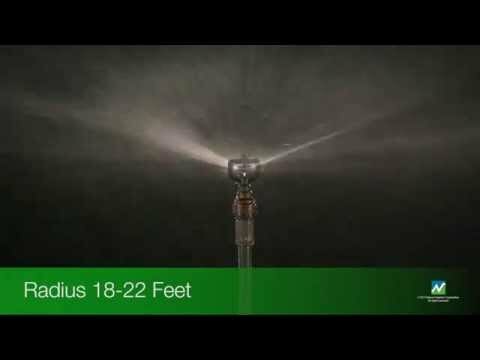 The S10 Spinner for mining, nursery and greenhouse applications is a unique little sprinkler that evenly distributes a wide range of flow like a gentle rain. With its high-flow capacity, high uniformity, and greater radius you will need far less S10 Spinners than traditionally needed in similar applications. Space the S10 from 16 x 16 to 26 x 26 feet (5 x 5 to 8 x 8 meters) depending on your conditions. Closer spacings will normally deliver the best uniformity … especially in the wind. Three plate options are available for high trajectory, low trajectory, or flat trajectory performance.